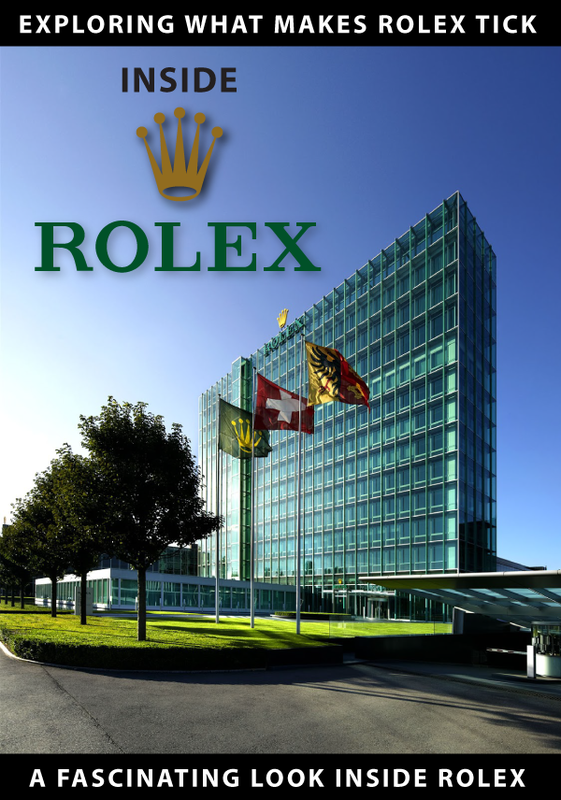 BaselWorld 2010 is just around the corner and in less than three days we will learn what Rolex will be introducing!!! I feel like a kid on Christmas waiting for Santa Claus!!! 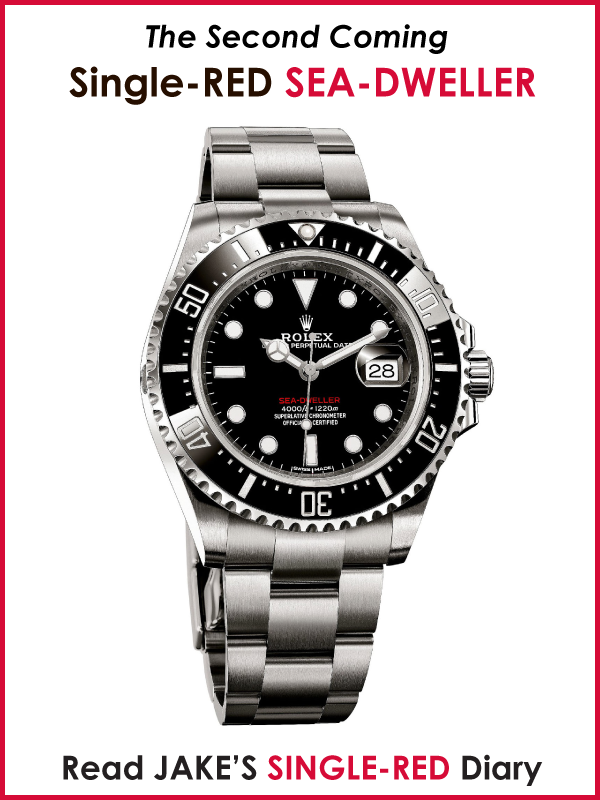 Back on February 20, 2010 I published an article speculating about the first watch I hope Rolex introduces and I included the text and photo from that article at the end of this story. 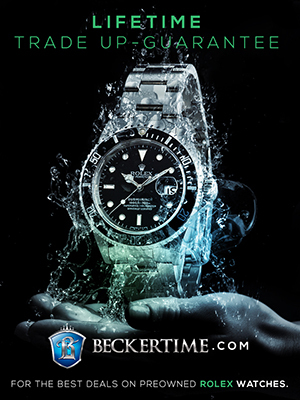 This Rolex.com ad is amazing for many reasons. First and foremost, it mentions how Georges Mallory was once asked "Why do you climb Mount Everest" to which Georges Mallory famously responded "Because it's there!!!" 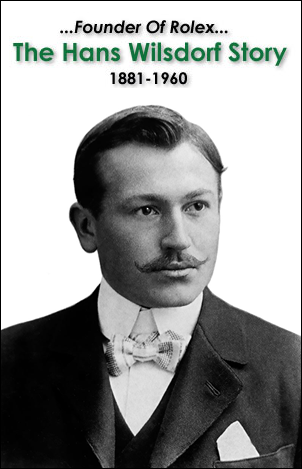 What is so interesting about Rolex.com specifically referring to Georges Mallory is that Georges Mallory attempted to summing Mount Everest in June of 1924 as part of the first of three British Mount Everest Expeditions from the early 1920s. 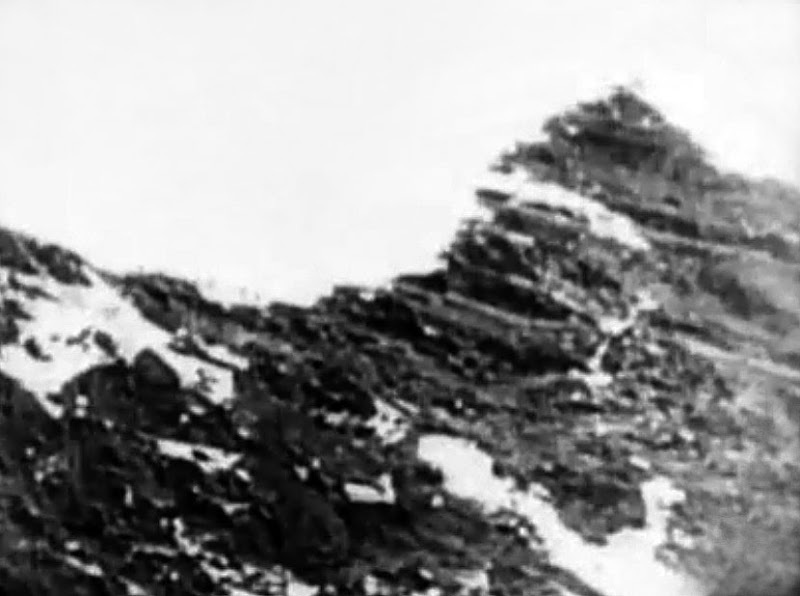 Georges Mallory, and his climbing partner, Andrew Irvine (pictured above) literally disappeared into the clouds on the North-East ridge while attempting to conquer Mount Everest as seen in the photo below. In other words, if you look closely, you can actually see them in the photo below as they approach the Summit. The last time the team was seen and photographed was just a few hundred meters from the summit!!! 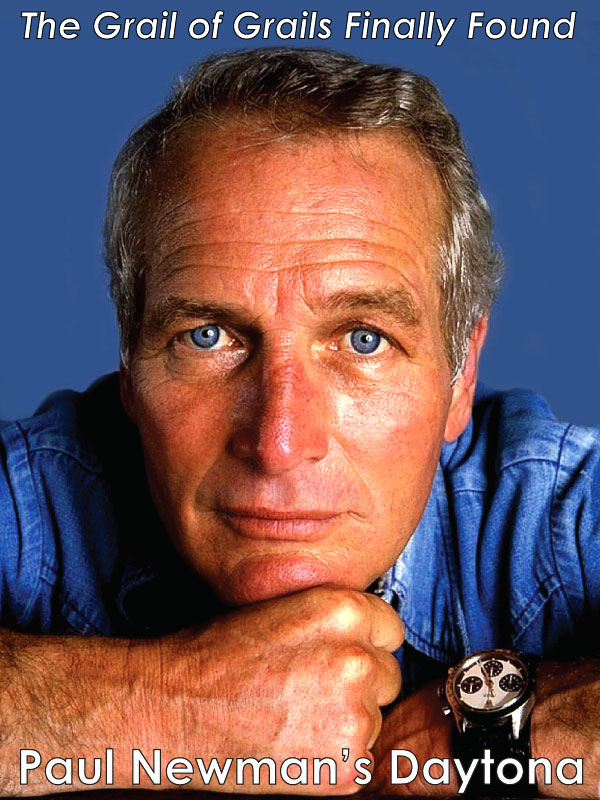 Their fate was not know for 75 years, until 1999 when his body was recovered by an Everest expedition which set out to find his remains. 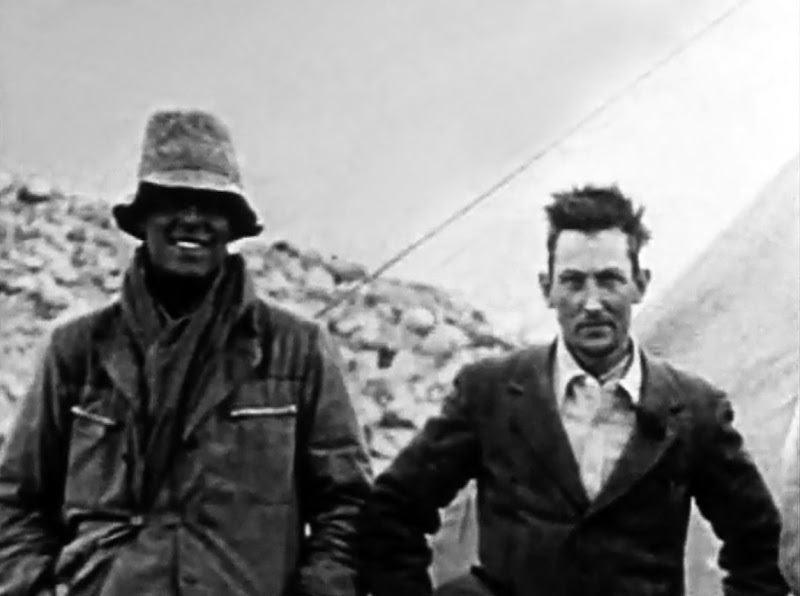 To this day, it is still a mystery as to whether Mallory and Irvine were the first to ever successfully summit Mount Everest. You can learn everything about this Mount Everest History and more in a super detailed article I wrote about Everest. Why Always Look For The Best? 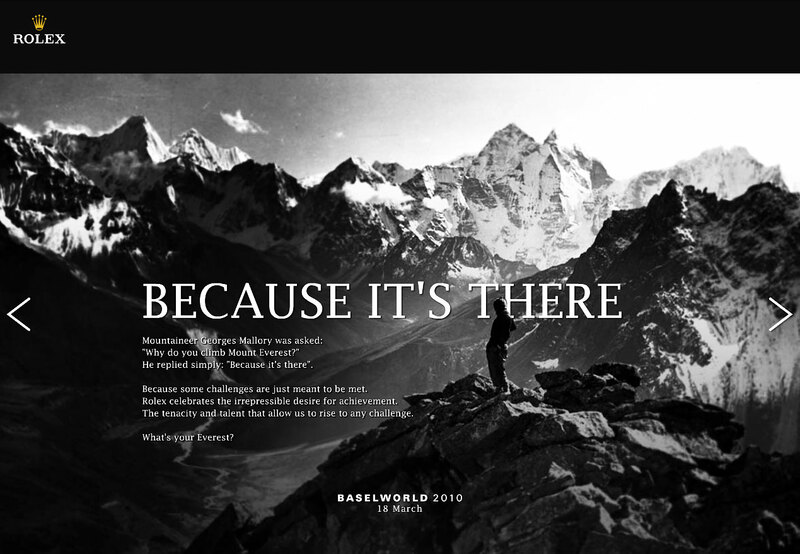 Why Climb Your Own Everest? 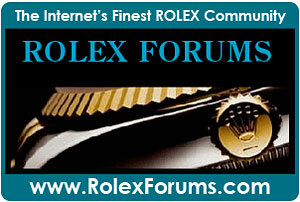 I think this verbiage is so profound because that is really what Rolex is about!!! 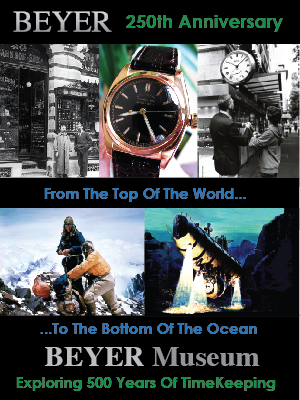 Rolex has historically been a watch brand that people wore when they chose to push the envelope of what is possible. 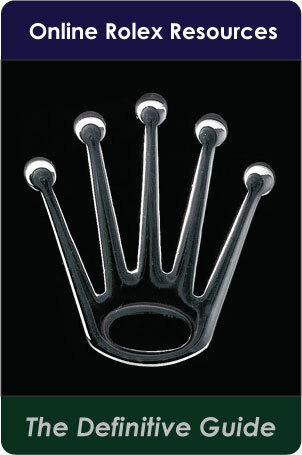 In my mind, as I have said before, if Rolex could be summed up in one word, it would be "Achievement." The way Rolex chose the language in their ad is so cool!!! 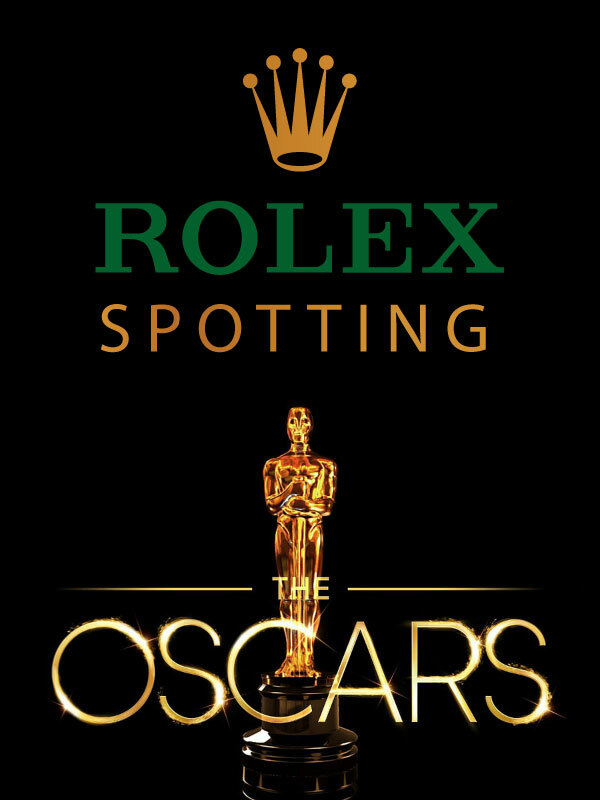 It is why I have always loved Rolex!!! 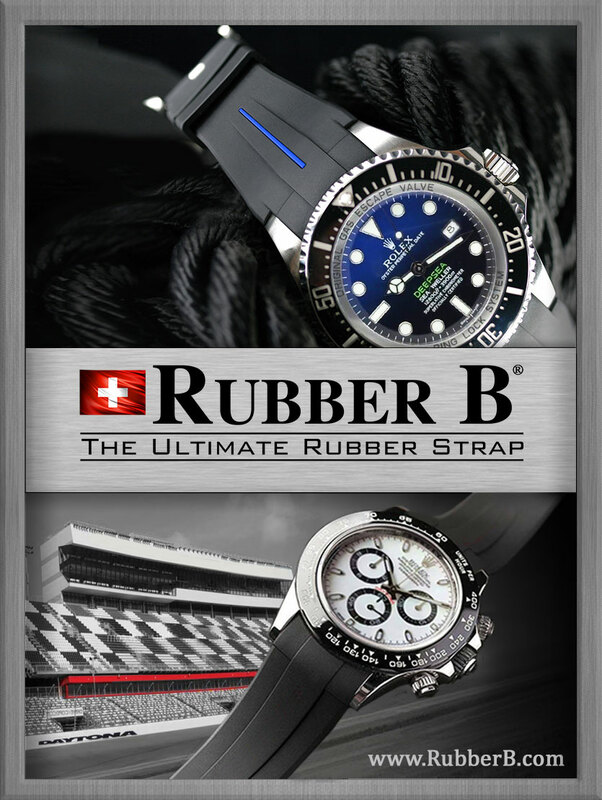 There is just something almost magical about the brand and their watches that inspires people from all walks of life to achieve amazing things–All the way from Chuck Yeager to Dr. Martin Luther King and way, way beyond!!! My best guess/hope is that Rolex will introduce an all-new Rolex Explorer II, but they could also introduce a new Rolex Explorer I. 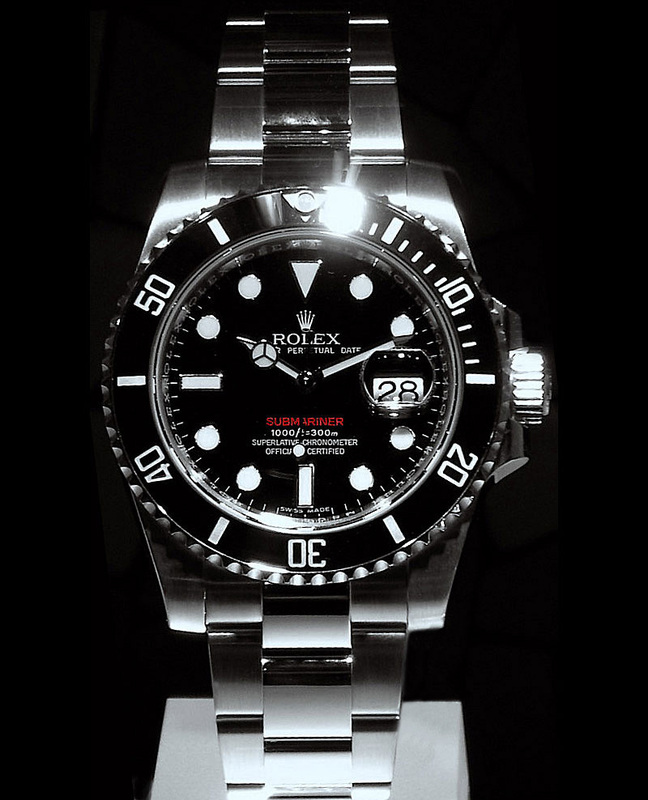 Back in April 2008 I created the artwork below for what I thought an all-new Rolex Explorer II should look like. I designed the watch with many different color combinations because I think people are bored with just black and white dials and want color. 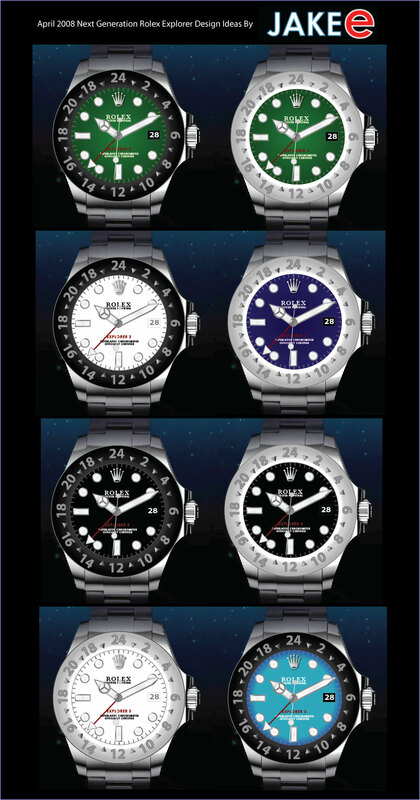 My best guess is that if Rolex comes out with an all-new Explorer, that it would or should be 42mm. I also think it should have a spinning bezel because people love spinning bezels. 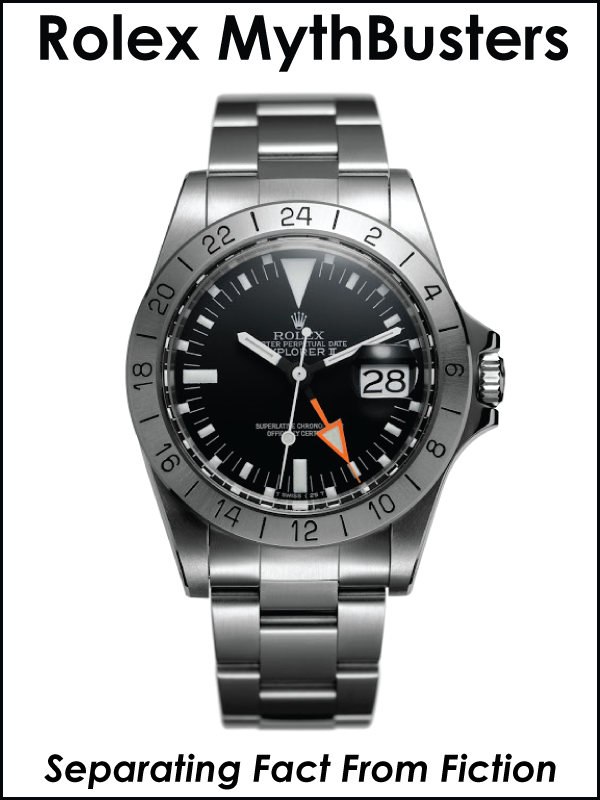 I also called my design version the Explorer 3, but I don't think Rolex would change this designation. Hey, I created this 3 years ago!! !